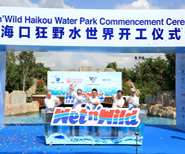 [9 November 2015] Haikou, China—:Mission Hills China has announced a joint partnership with Guangxi Investment Group and leading international theme park owner and operator, Village Roadshow Limited (VRL) for the establishment of Wet’n’Wild Haikou, China’s first Wet’n’Wild water theme park. This will be a destination water theme park, similar to VRL’s Wet’n’Wild Gold Coast, Wet’n’Wild Sydney and Wet’n’Wild Las Vegas. Mission Hills Group, a pioneer in China’s fledgling hospitality, sports and leisure industry, is collaborating with experts in theme park construction and operations. VRL is Australia’s largest international theme park owner and operator with theme parks throughout Australia and the US. Their vast portfolio includes Wet’n’Wild Gold Coast, Wet’n’Wild Sydney, Sea World, Warner Bros. Movie World, Paradise Country, Australian Outback Spectacular, Village Roadshow Studios and Sea World Resort. 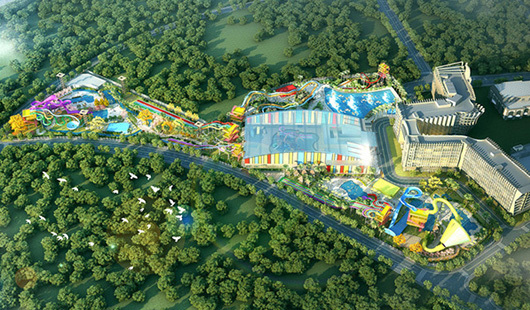 Wet’n’Wild Haikou will be developed by Mission Hills Group and operated by VRL. Water Technology Inc, a leader in water park design and technology, will be the lead design consultant. WhiteWater West Industries, the leading global designer and manufacturer of innovative water park products, will supply all of the attractions. The 50,000m² Wet’n’Wild Haikou is located within Haikou’s 1,000,000m² Mission Hills Centreville featuring Mission Hills·Lan Kwai Fong - a family-friendly cosmopolitan leisure complex with restaurants and bars, shopping, entertainment and cultural elements; internationally renowned hotel brands such as Ritz-Carlton, Renaissance and Hard Rock Hotels; and the Mission Hills·Huayi Brothers·Feng XiaoGang Movie Town, a film-themed tourism, commercial and cultural district. Wet ‘n’ Wild Haikou features the world’s biggest ‘n’ best collection of thrilling slides and attractions that cater to the entire family. 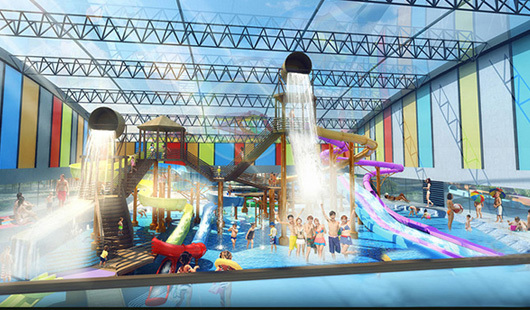 It will also feature an 8,000 m² indoor family water park so that guests can enjoy year round entertainment. 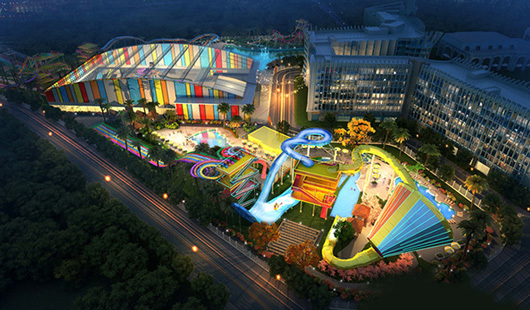 The estimated total investment of the Wet’n’Wild Haikou project is approximately RMB 500 million and is scheduled to open in the fourth quarter of 2016. Dr. Ken Chu, Chairman and CEO of Mission Hills Group said: “Mission Hills Group is excited to work with Village Roadshow Limited, the proven global experts in theme park development and management. 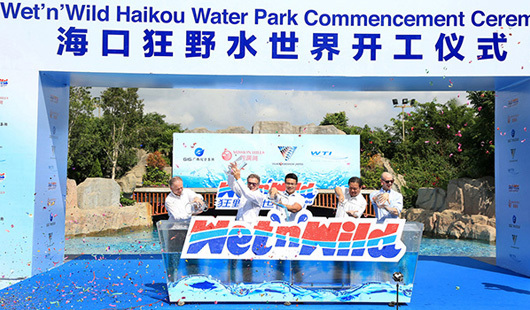 The addition of Wet’n’Wild Haikou will reaffirm Mission Hills Haikou’s position as one of the most sought-after tourism destinations in the world.